Here’s a selection of photos taken on a walk in York on the afternoon of Sunday 27 December, from the Clifton area to the city centre. Following the Ouse. 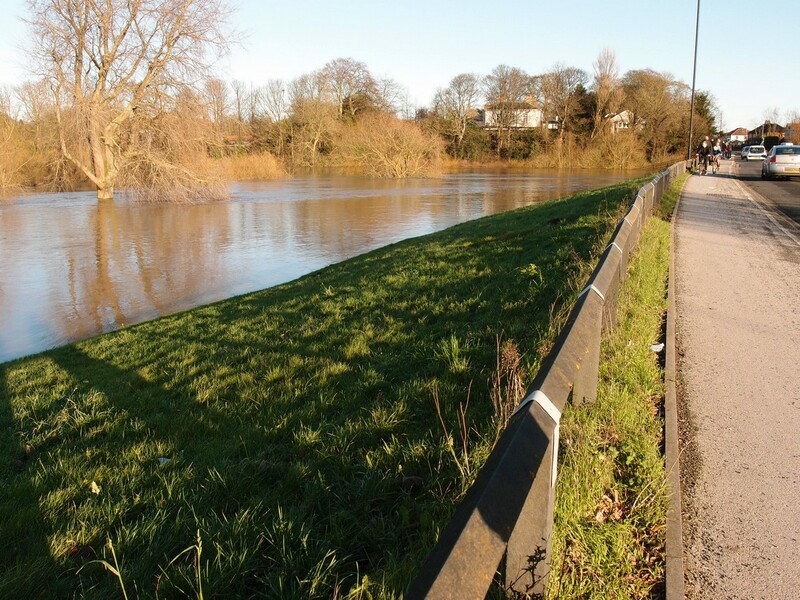 On Water End/Clifton Bridge, a mass of water to the left covering what is normally a grassed area next to the Ouse, as it heads into the city centre. 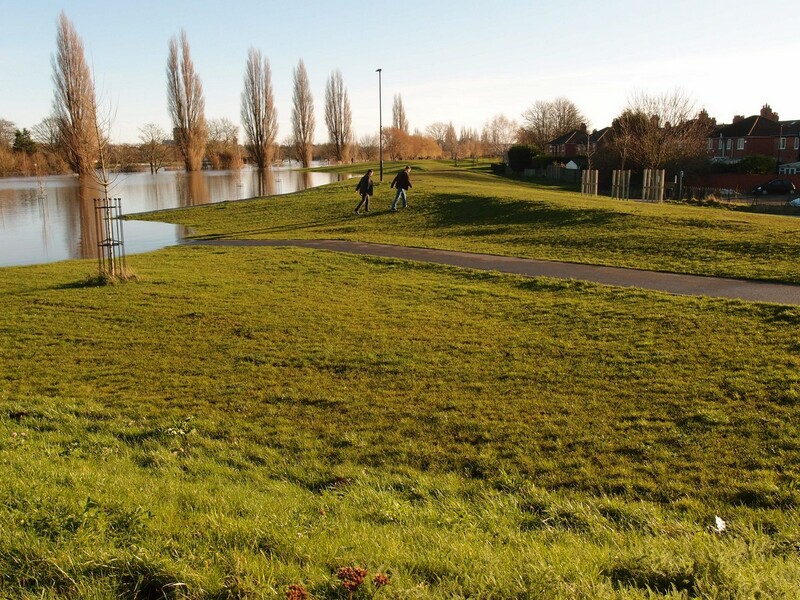 The floodbank was only just visible, over on the far side of the river, and the water that the ings area is supposed to hold behind that floodbank seemed to be starting to spill over, back towards the Ouse. To the right, the road crossing Clifton Bridge. 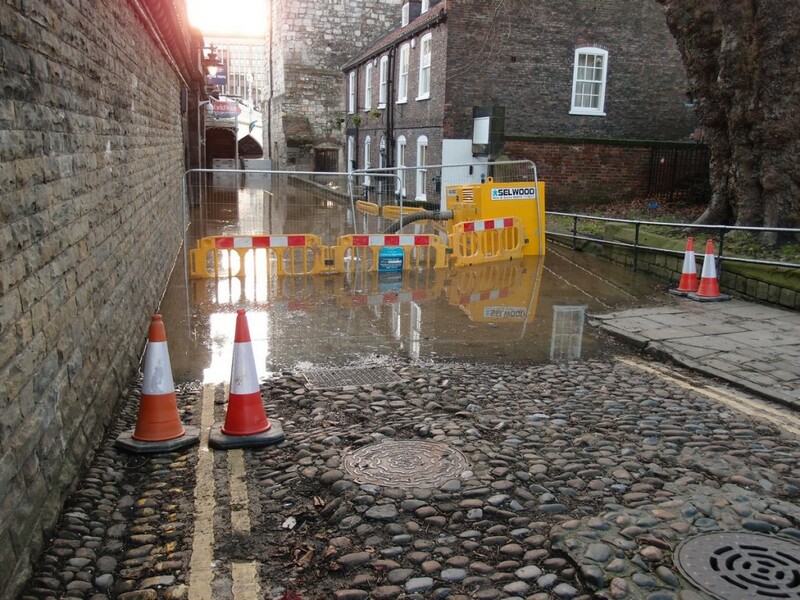 Which, as is clear in this photo, was one of the many roads in York which wasn’t flooded. On the other side of the road, the recently improved earth bank defences protecting the Leeman Road area (off to the right) seemed to be working well. Across a massively widened Ouse, the Minster looking handsome in the winter sunlight, in the distance. 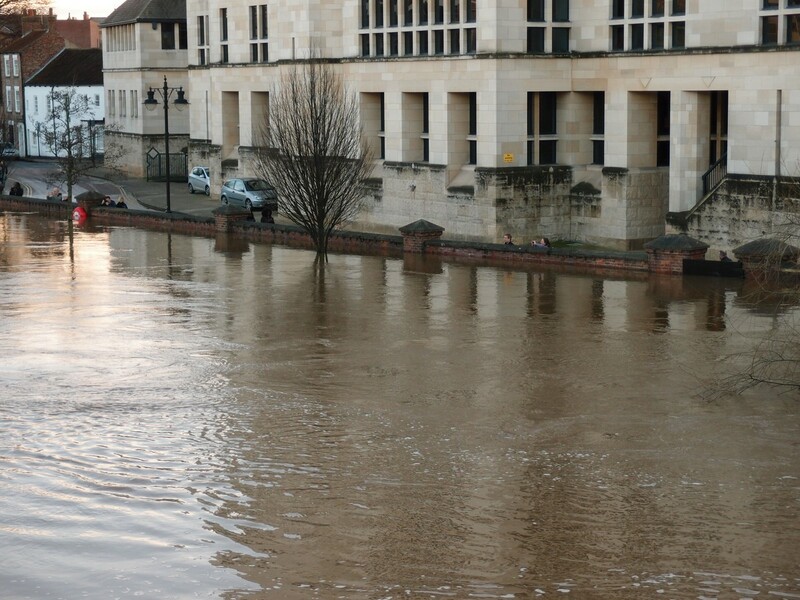 Some news reports later that day seemed to be suggesting that roads around the Minster were flooded. It may look all watery from this far away, but of course roads around the Minster weren’t flooded. Walking towards the city centre, I wanted to check the situation by the next bridge, where I remember standing as the floodwaters of the 2012 floods passed by. Here, at Scarborough Bridge, it looked similar to how it looked in 2012. Holding the camera over the barrier perhaps gives a better impression of the situation. Looking towards the city centre, towards Lendal Bridge. 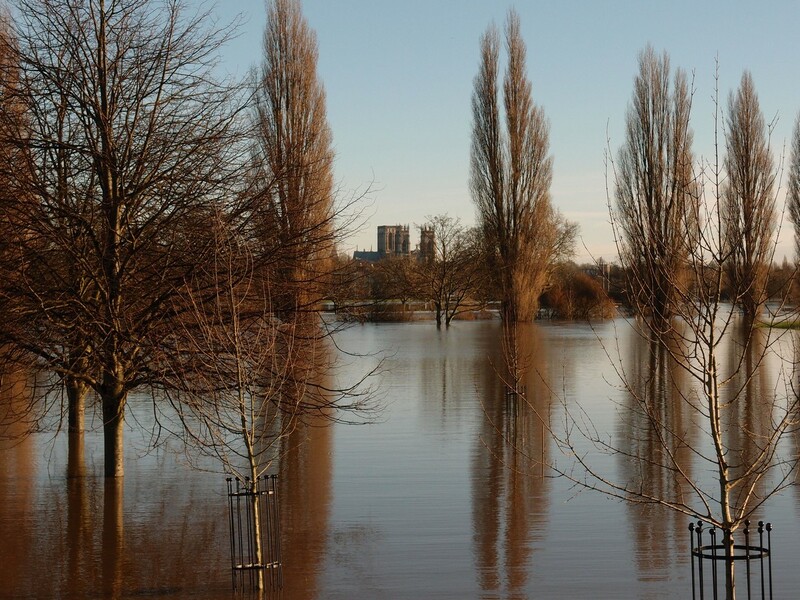 There’s normally a riverside walkway in the middle area of this photo, with the Ouse behind the line of that tree on the right. The wall on the left is part of the flood barrier here and has floodgates in it. 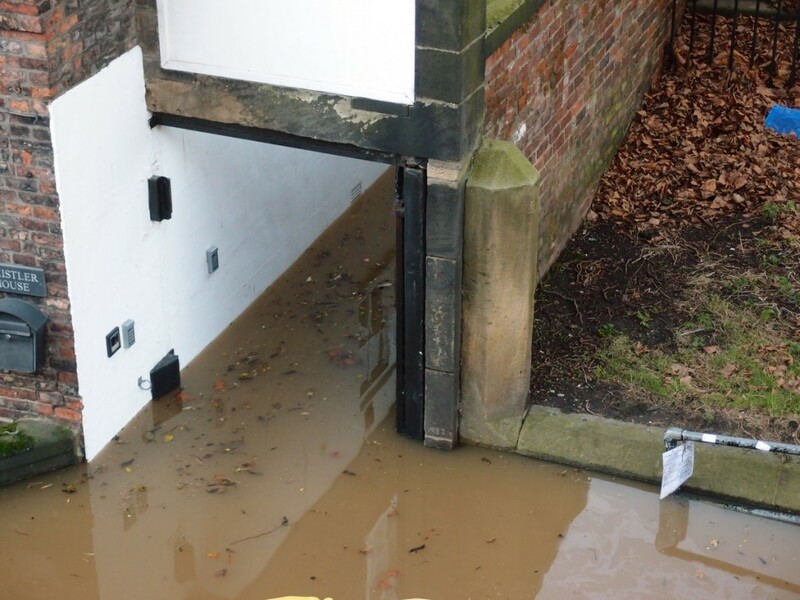 As this photo shows, the level of the water was some way off the top of the defences in this area, at this point on Sunday afternoon (2.25pm). Looking back the other way, back towards Scarborough Bridge, and again showing the flood defences here, sturdy walls with gates protecting these riverside properties. 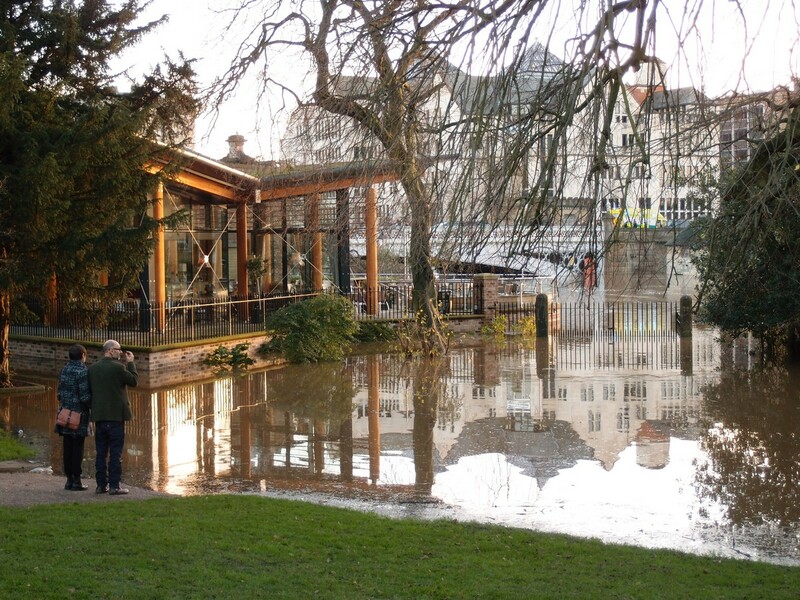 The Ouse had also oozed into the lower parts of the Museum Gardens, as it usually does when there’s a flood, and as it has been doing for centuries, before the Museum Gardens were the Museum Gardens. A recent addition, the Star Inn the City building, to the left of this photo, seems to have been constructed to cope with this, and appeared to be still accessible. 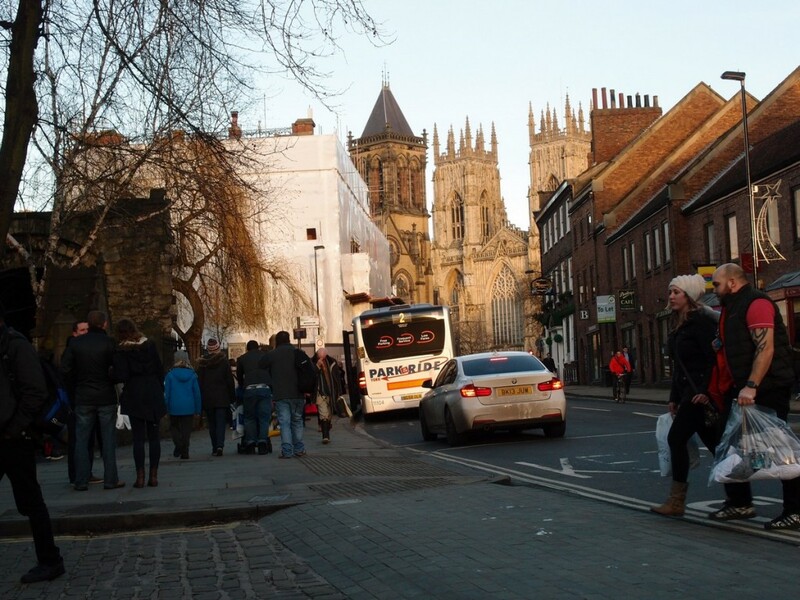 But on the way back up that slope, just a quick reminder that most of York isn’t flooded, and is full of shoppers and traffic, as normal. Or at least it was on the afternoon of 27 December. Since then the authorities have sent out announcements telling people not to come into the city. 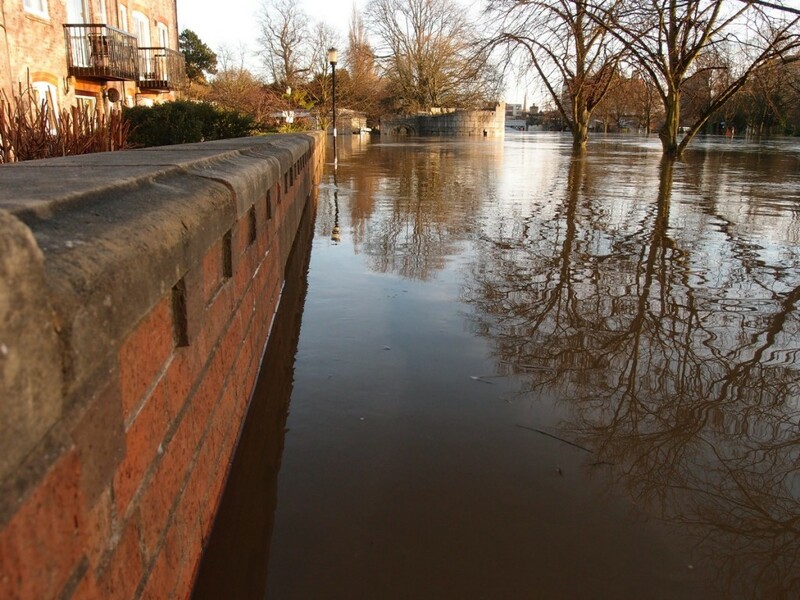 On Lendal Bridge, the other side of it, looking over towards where the river water moves through the city towards Ouse Bridge. 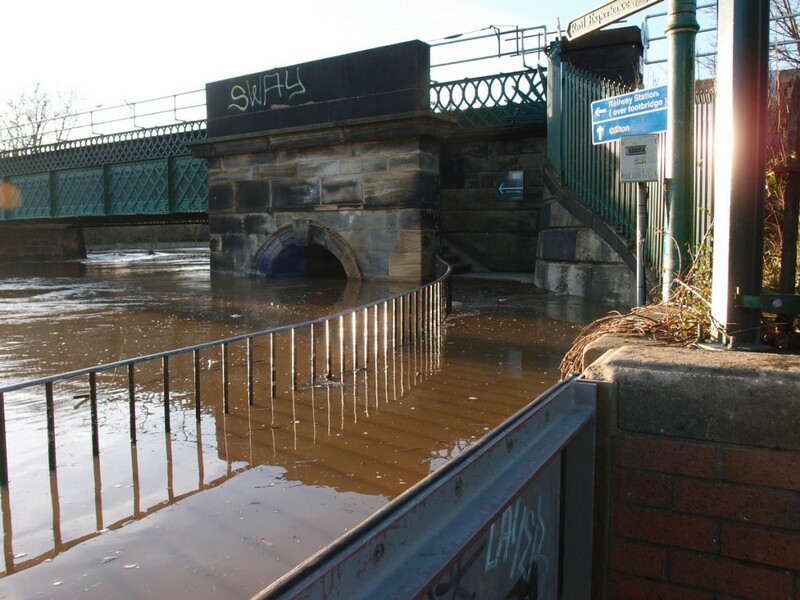 The arches of Ouse Bridge are much photographed in times of flood, as a visual indicator of how much the river level has risen, but many eyes were also on these flood-defending walls in the North Street area, which, like the ones we looked at earlier, are the late-20th century attempts to hold back the water. Still doing so, on a Sunday afternoon in late December 2015, with the river not at the top of them. 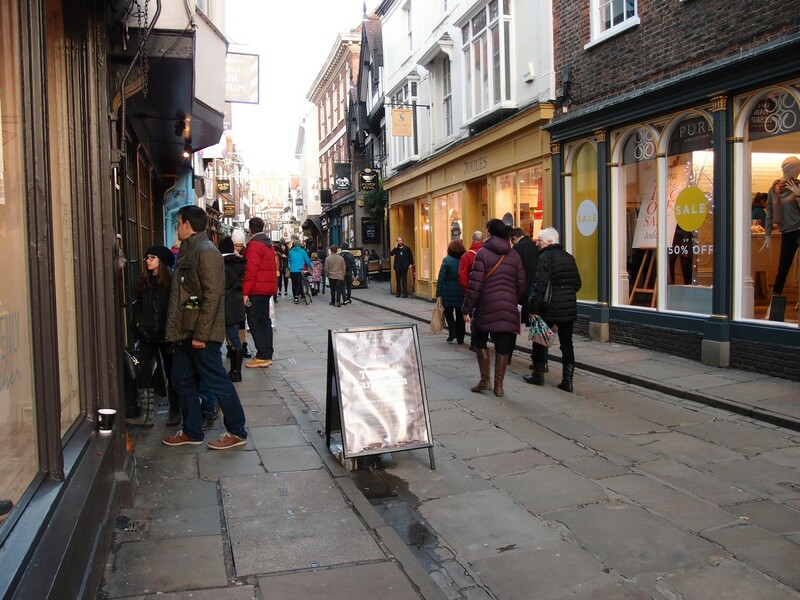 Leaving Lendal Bridge, heading back along Museum Street (not flooded), Davygate (not flooded), St Helen’s Square (not flooded), into Stonegate, also not flooded, and busy with shoppers, just as normal. Round the corner, quiet, but also not flooded. And into the Swinegate area, also quiet, but also not flooded. 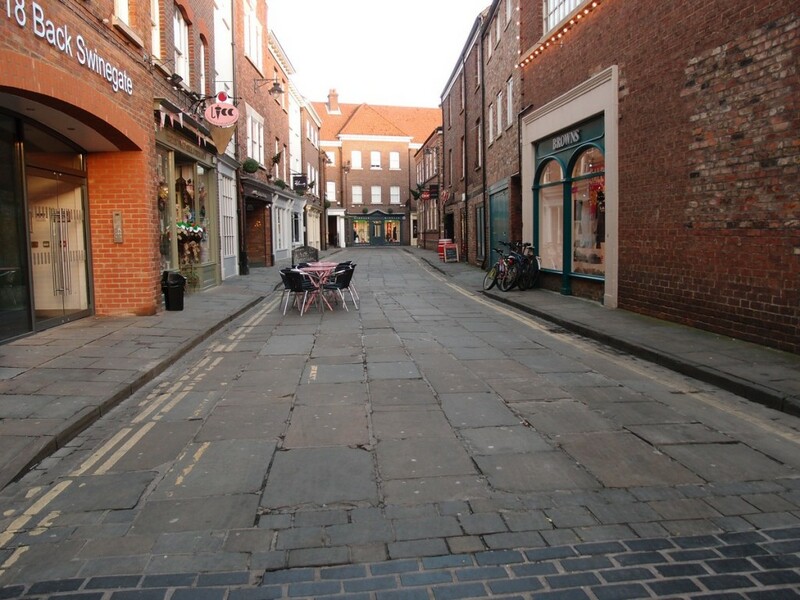 The walk then continued through many of York’s other not flooded streets, including Petergate, King’s Square, St Andrewgate, Goodramgate, and Aldwark. Parliament Street and Coney Street and all the streets linking them were no doubt also busy with shoppers, as those streets wouldn’t have been flooded either. 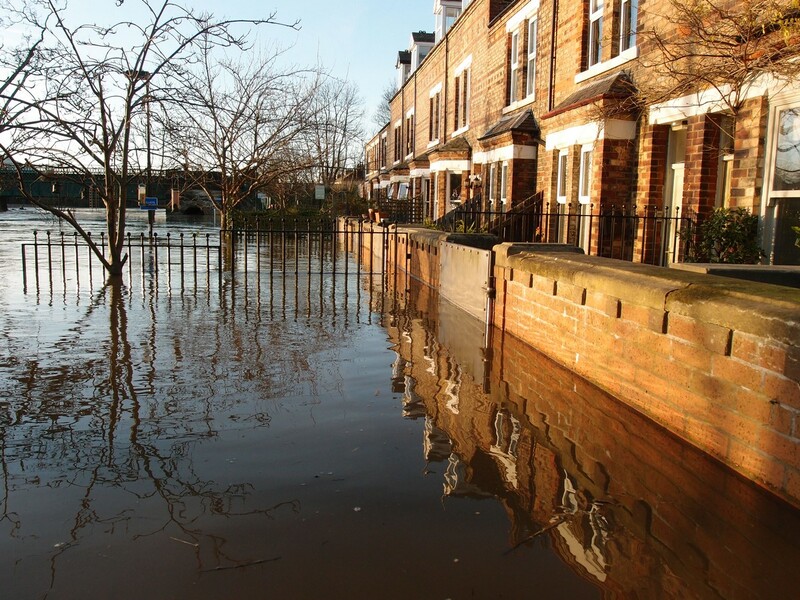 Most of York’s city centre doesn’t flood, and remains accessible, but you wouldn’t know that from the media coverage. For those affected, it’s horrendous, and no one would wish to play that down. 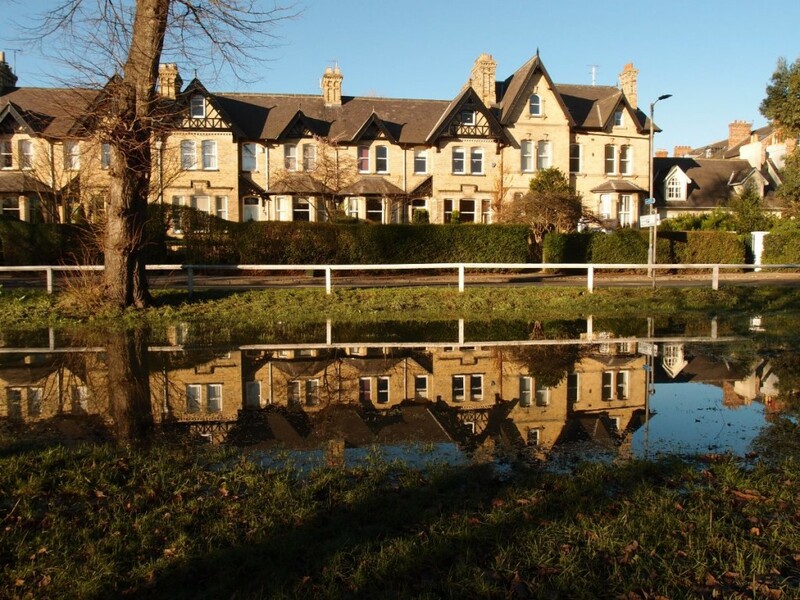 And the emergency services, local authority, local councillors, volunteers, neighbours, have been working all hours trying to help affected residents deal with the impact. 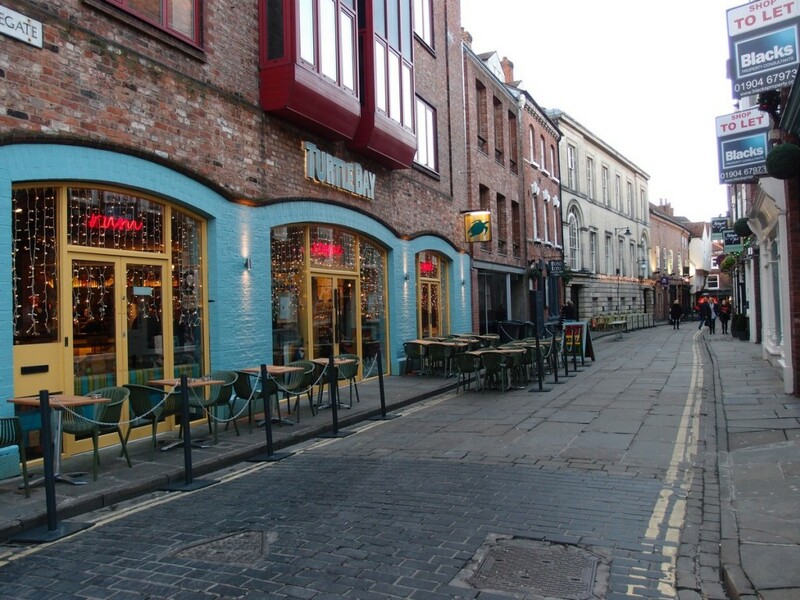 An impact which has been massive over on the other side of town, near the Foss. « King’s Square: was it worth it?